Written by: admin on February 27, 2014. The Spanish word “Tomillo” means “thyme” in the English language. Fundación Tomillo selected the plant thyme to represent its organization because thyme is found commonly throughout Spain, with the characteristics of being “humble, resilient, and healing” — characteristics that describe the works of Fundación Tomillo perfectly. This year marks the 30th anniversary for Fundación Tomillo. Like many great organizations, it began out of a small apartment of Javier Lantero in Madrid of September 1984. Javier, and his close friend Manolo, felt the need to do something with their lives involving a sense of humility. During the time of foundation, Spain was suffering from an economic crisis where the unemployment rate was reaching roughly 25%. Seeing the negative effects this was having on the community, Javier decided to focus the efforts of Fundación Tomillo around creating and finding jobs for people of dire vulnerability. Collaborated with 29 schools to support more than 2,000 children and youth with serious learning difficulties. Of those 2,000, 75% of primary students receiving tutoring improved their grades and 89% improved their reading comprehension. Trained 2,200 people in hospitality, administrative assistance, computer skills, gardening, and care for dependents. Gave assessment to 565 entrepreneurs, trained 900 youngsters in entrepreneurship, and gave advice to the creation of 160 new small businesses. One of the most successful projects of Fundación Tomillo’s includes the partnership with Microsoft to develop computer specialists to gain official certifications in Information Technologies and Communications. Fundación Tomillo recognized the rapid development of technology in the ’90s, and strategically altered its programs to provide qualified computer savvy individuals to the workforce. 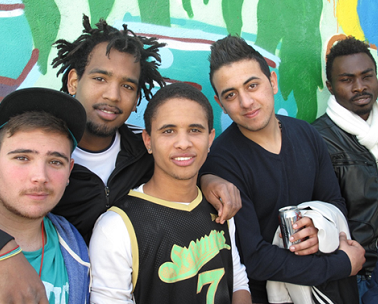 With students being underprivileged youths, the pass rates were 89%, and employment figures reaching 70%. This exceptional case study exemplifies young unemployed and underprivileged people rising above to make themselves employable and successful. For more information, please visit: http://www.tomillo.org. Photo provided by Fundación Tomillo.